Private Villa with pool in the Algarve, just for you! Private Villa with pool in the Algarve, just for you and your party! 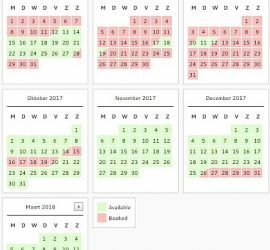 Here you see the availability calendar for Villa Maria. Here you see our photo album from Villa Maria. Here you can see pictures taken in the area of Villa Maria. The Algarve, which is known for its 3,000 hours of sunshine per year, the stunning scenery with impressive yellow cliffs, long and small sandy beaches like the famous Falesia beach, famous golf resorts such as Quinta do Lago and Vale do Lobo, where many wealthy people of the world have a luxury and spacious villa, but where you can also enjoy the beautiful nature in the Nature-reserves like Ria Formosa, the small islands off the coast such as Ilha Tavira, Ilha Faro and beautiful rivers, drinking water reserves/lakes and famous holiday locations such as Albufeira, Olhos de Agua, Albufeira, Lagos, Monte Gordo, Vilamoura with its marina in the center of the city, Olhao, Loule, Armacao de Pera, Boliqueime, Lagos, and, not to forget, the most southwesterly point of Europe: Sagres with Forteleza Sao Vicente and imposing rock formations. At a short walk from the beaches of Praia de Benagil and Praia do Carvalho direct from the owner, a detached villa/holiday home for rent/to let. Very completely equipped and decorated and with air conditioning, Internet – WiFi, Satellite TV, washing machines and many other matters which make a holiday truly complete. The villa is peacefully located at 300m from the main road ( M -1273 ) to the Benagil fisherman’s village and offers lots of peace and privacy, while being just a 5 minute drive away from the bars and restaurants on the coast in Benagil and the cozy village Carvoeiro. Here there are many restaurants, cafes, shops, bars and terraces, as well as a disco and nightclub, and you can have a delicious ice cream creation on the village square or beach. Should you want to do your weekly shopping, then there is the Intermarche or Aldi at 8-minutes drive direction Lagoa, one of the cities of the beautiful Algarve, a province of Portugal, a large country with only 11 million inhabitants and Lisbon as its capital. The vacation villa is very spacious and offers ample living space for 6 people. The living room with dining area has sliding doors to a large terrace with two dining tables and chairs and which is partially covered with a shade triangle so you can also choose to sit in the shade. From the terrace you can walk directly to the private swimming pool of approximately 5 x 7 meters. There is a staircase in the pool, the bottom slopes gently from about 50 cm to over 2 meters, so that your children can stand at the beginning of the pool. The living room is equipped with air conditioning with which in winter the room can be heated. There is also a cozy woodburning stove (firewood included in price) to create a lovely warm atmosphere in the winter months. So, a nice home, also for long winter stays. Pets are generally welcome, pets allowed on request. There is a spacious double bedroom with ceiling fan. This bedroom has a small terrace where you can enjoy the morning sunshine and there is plenty of closet space available. There is also a smaller bedroom where a large bunk bed ( 2 x 80x200cm ) is put. Very nice for the kids, but also comfortable and big enough for adults. Both bedrooms have the use of a luxurious bathroom with two sinks with mirror, a toilet and a large shower. Hairdryer for the ladies available in each of the two bathrooms. The master bedroom has two electrically adjustable Auping beds, its own TV with many English channels, air conditioning, lots of closet space, ceiling fan, a woodburning stove for a romantic winter evening and sliding doors with access directly to the garden. Of course, this master bedroom has an en-suite bathroom with double sink, toilet, shower and separate bathtub. Both bath towels and beach towels are supplied with the rental, so you do not need to bring your own. The kitchen of the holiday home is complete with dishwasher, fridge, kettle, microwave, coffee maker, tea pot, juicer, mixer, oven, 4 – burner stove, etc. etc. Washing machines, extra refrigerator and freezer are located in the large barn at the rear of the villa. Here you also find the firewood for the stoves, the rotary dryer for your laundry and there are several spare gas bottles. Garden and patio furniture is already waiting for you to use at the swimming pool. Extra chairs can be found in the annexe which is built against double garage. If you want you can, of course, use the garage, although there is a lot of parking space next to the villa, on the site. Algarve Vila Maria is a detached villa on a plot of approx 4.500m2 fully landscaped as a garden. This guarantees not only privacy but is also lovely to walk around. Beautiful gravel paths along the many palm trees (hobby of the owner) and (sub)tropical plants. In short, the perfect holiday villa for those who love peace and privacy, for long (or short) winter stays, for families with children, small and large, because the usual livelihood of holiday villages and the many things to do, can be experienced on your own choice and time in a short proximity and only when you want to do so. So, there are three golf courses which can be reached within 10 minutes. Vale do Milho, a 9 hole Par 3 course is at a 5 -minute drive from the bungalow/vacation rental and the 18 hole courses Gramacho and Vale da Pinta are only a little further away. You can play tennis in Carvoeiro at Monte Dourado or at Tenis Carvoeiro, go riding in the ridingschool at walking distance from the villa, rent a bike in Carvoeiro, visit caves by boat in Benagil, go fishing and sailing from Portimao, travel in pirate boat with BBQ along the coast from Portimao, take a river trip to Silves from the promenade in Portimao, do fitness and sports in Lagoa, gamble at the casino in Praia da Rocha, Albufeira and Vilamoura and also for the kids there is a lot to do: Water Parks Agualand and Slide and Splash, Go- carting in Algoz, Zoo Marine in Guia. All the ingredients for a perfect holiday in a villa in the sun. The holiday villa in Portugal is only a 45 minutes drive away from Faro airport. Given the rural location of the villa, a rental car strongly recommended, partly because public transport is not yet ideal. We therefore always recommend our guests to look at Faroairport-carrental.com for a good car at a reasonable price. They have a shared office at P4 of the airport, so you can pick up your car at just 50 meters from the airport building and return it there as well. Although we speak of a holiday home, holiday house, apartment, Quinta or casa in Portugal, Algarve, Vila Maria is a villa which is often and very frequently occupied by the owner. When you are there, you will notice that it is a real private residence with photos of our family and friends, personal items, books, games, paintings made by the lady of the house ​​and many other little things that show that you are not staying in a decrepit commercial rental property, but a fine complete comfortable home where the owner himself regularly enjoys all the good things that the Algarve and Vila Maria has to offer. Obviously there is no one else on the premises or in the villa when there are tenants. Only the gardener/pool man comes 1x per week to maintain the garden and pool so you have a clean pool to swim and a well kept garden to enjoy. The maid comes 2 times per week, once to dust and clean, once to change the beds and towels. It is possible that your vacation weeks are already booked by another party. 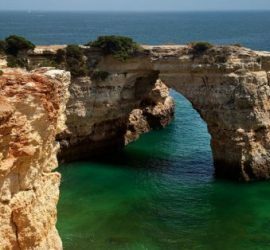 You can look for alternatives at Algarve.nu Perhaps you can find another nice holiday villa or holiday apartment to enjoy your holidays in the Algarve. Prefer to buy your own house or apartment? Please check out AlgarvePropertyFinder.org for a very wide range of property for sale in the Algarve.